Life is full of hard choices. What kind of car should I get? Do I need to shower this morning even though I did last night after the gym? I only have one mouth, but want to drink these two different beers at the same time - what should I do? Glassblower Matthew Cummings holds the answer to that last question. 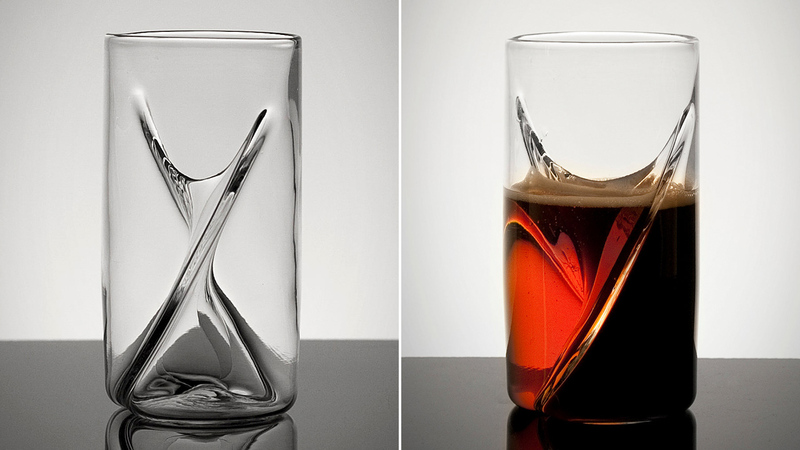 His handmade Dual Beer Glasses feature two chambers, perfect for a black & tan or whatever other weird concoction you can think of.